Planning to rent a car? Save money thanks to our HolidayCars coupons and deals. You can find rental cars all around the world via HolidayCars.com. Moreover we offer any type of rental car: from cheap rental cars, to SUV’s and passenger vans. Do you want an even more exotic car? In many cities and on many airports we also offer luxury car rentals. Whether you want to pick up your car at the airport, downtown or on an island, we are sure that you can always find a rental that fits your budget and plans. 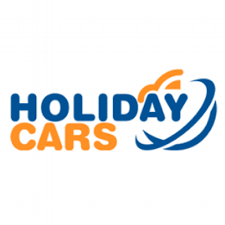 Book your rental car safe and secure at Holidaycars.com to ensure yourself of a carefree holiday. Are you afraid that you will change your mind after making a reservation? No worries! With us you have the option to cancel for free up to 48 hours before your pickup.